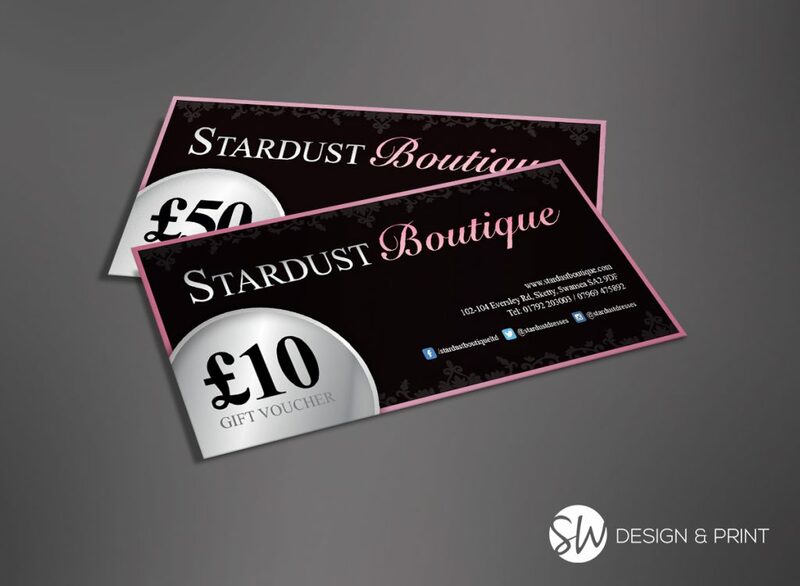 We designed these stylish gift vouchers for Stardust Boutique. High end dresses need a high end finish on their promotional material. These we printed on thick 400gsm silk card.